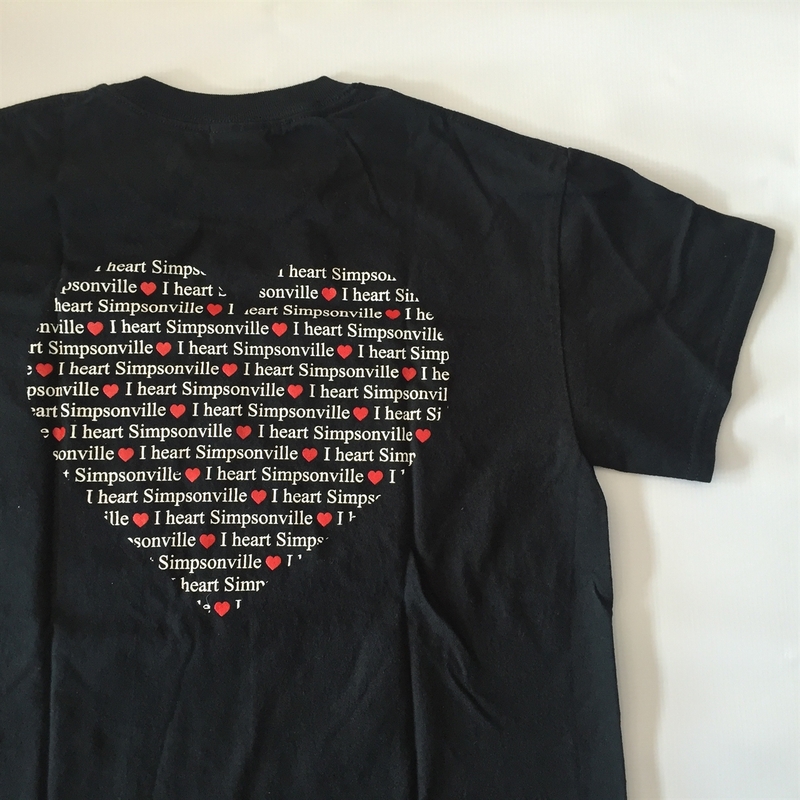 Short sleeve tee with "I HEART Simpsonville" design printed on the front breast pocket and on the back. 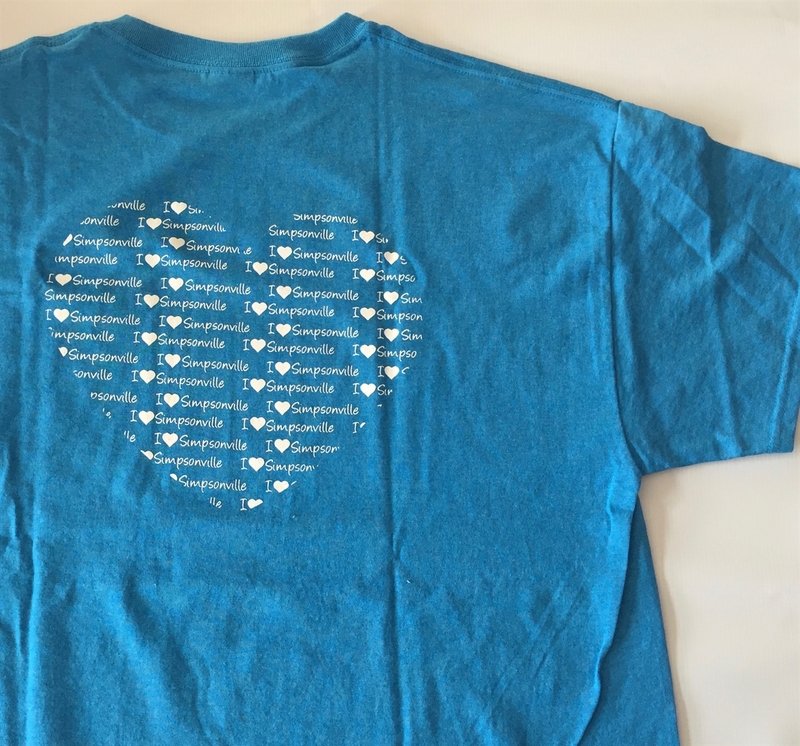 Gildan Ultra Cotton shirt, true to size. 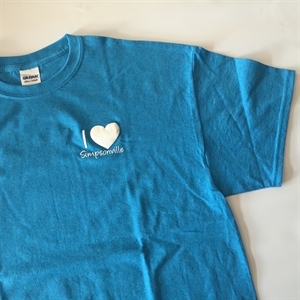 Available in sizes adult small, medium, large, extra large, and 2X large. 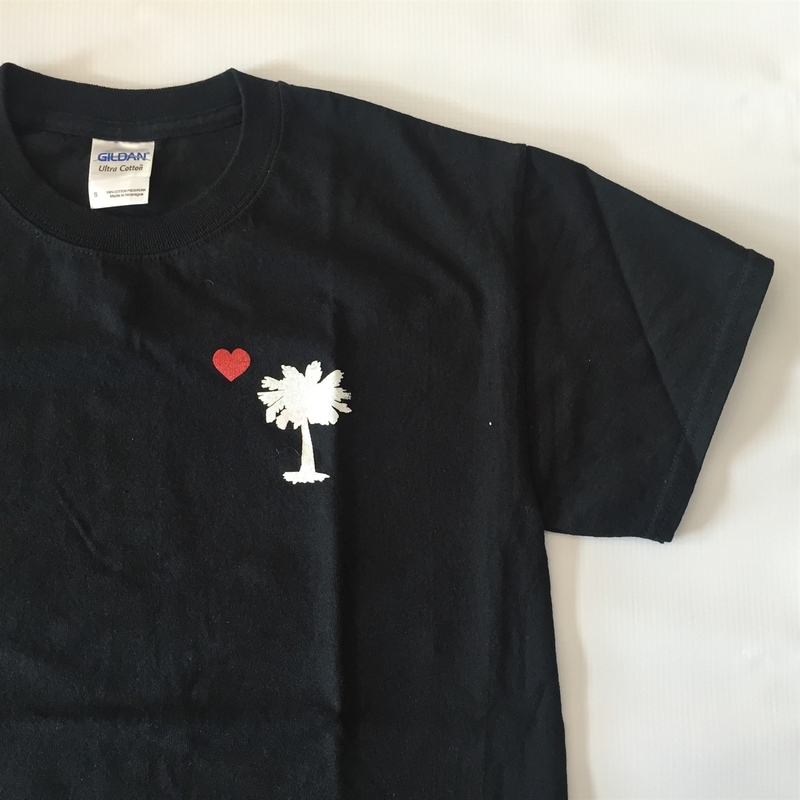 This shirt style is available in black, sky blue, and white.